Listen in as Blake Hortenstine of Hortenstine Ranch Company provides incredible insight into becoming a top broker in the state of Texas, keys that improve the value & marketability of the land, and state of the Texas recreational land market. To learn more about Hortenstine Ranch Company visit https://hrcranch.com/. Our founder, Chad Polk, had an opportunity to set down with Matt Dunn, one of the ranch industry’s top cinematographers, for a REALSTACK feature interview. He and his team has filmed the likes of The Great Western Ranch, IX Ranch, Kessler Canyon, Taylor Estate, Lobo Ranch ….we think the only high end ranch they haven’t filmed is Waggoner Ranch! Wouldn’t be surprised if they get tapped to film the King Ranch down in Texas some day. Chad Polk: I want to start out with the 3D modeling video I just saw on your vimeo channel. I can’t make out if many of those renderings are real or 3D models …incredible. Give us some insight into this new offering from AIP. Matt Dunn: I’m glad to hear that you can’t tell the difference. That means we are doing our job! The first version of our 3D demo video only showed the final product and we soon realized that people didn’t understand the product we were delivering. Like you, they didn’t know what was real and what was 3D. So our adjustments to the demo revealed the development stages, much like those you might see for a “making of” big Hollywood film where they show the before and after. This new offering provides the client with a “close to finished” look at their future development project. Some examples include a custom home built on a mountain side, to high rise condos, to drill site phases for the gas and oil industry. Many architectural firms, developers and real estate agencies have found this to be an exciting and powerful new tool. We are learning new tricks along the way to ensure a successful match with our aerial footage. It’s exciting to see how this new service will influence the industry. Chad Polk: You’ve positioned your business in the market as Full Service Media Production. For the average marketer, what does that encompass? Matt Dunn: We provide end to end production services including aerial cinematography, traditional cinematography with a large selection of support rigs (sliders, stabilizers, jibs etc), 3D model integration/compositing, geo-spatial tours, script writing, voice over and video editing. Chad Polk: The AIP team has spent a lot of time on mega ranches and exceptional properties. How do you begin the process to tell the story of each property through video? Matt Dunn: From a mega hunting or cattle ranch to a small gentlemen’s fly fishing retreat, telling the right story is key. The process begins with a great deal of communication with various individuals that know the property well. We talk to anyone and everyone that is available in hopes to understand the complete picture. We interview the broker first, then typically the manager and in some cases the property owner/seller. Simultaneously we’ll gain a tremendous amount of information by using Google Earth Pro. Dropping in with a birds eye view while on a conference call provides a very good understanding of the property. Chad Polk: From your portfolio I see lifestyle, recreation, informative views, geo spatial layouts, narrative, and more. Tell us how you build up to the end video product that helps market and eventually sell your client’s product or services. Matt Dunn: We feel very fortunate to have such a talented team and fantastic tools here at AIP. Each of the items you mentioned have an equal value to them. From the visuals to the narrative and music, it all plays into creating a compelling and informative product that drives results. Beautiful cinematography typically is what engages a viewer. Captivating and retaining them is the challenge. We really strive to maintain good rhythm and intrigue from beginning to end. We were delighted to know that a cash offer of a mega ranch was made within two days of watching the video we produced without the buyer having set foot on the property. If that doesn’t display the power of video I don’t know what does! Chad Polk: As I talk to real estate brokers and other videographers, I hear time and again that AIP is the standard. Their stuff is always epic. What drives you as artists and creatives to really push the envelope of cinematography and creativity? Matt Dunn: I’m flattered to hear that we’ve set the standard. You know one of the biggest things for me personally as a filmmaker, is to create magic and make people feel something. It’s exciting to be able to draw emotion out of a viewer for something like a property video which is not always an easy task. If you can tell a compelling yet informative story, it can make quite an impact. We always strive to make each video better than the last. Obviously though, the amazing aerials is what launches the videos into epicness. That’s a word right? Chad Polk: Aerial video has come a long way in the last decade to say the least. How has AIP kept it’s competitive advantage through the proliferation of a consumer drone market? Matt Dunn: Simply put, our pilot Brent Murray is exceptional. He has a true gift for composition and is aware of everything. His long history of drone cinematography has made him a master in this field. I can honestly say he is one of the very best in the world. Drones like the DJI Phantom are everywhere these days and it is possible to get great shots now and then but what we provide is consistency, reliability, wisdom and a tremendous amount of creativity. We are very blessed to have him on board. Matt Dunn: Thank you! Well, 10 years ago we had the idea to film with remote control single rotor helicopters (long before multicopters aka drones). Our pioneering of this new medium was not an easy task and we acquired many bumps and bruises along the way. We knew the technology would gain momentum. Now that it has, we see nothing but an abundance of possibilities. Our shameless plug might as well be the announcement of our new company RanchVideos.com. The site is nearly ready for launch. Our goal is to provide a service that is focused on one thing… Ranch Videos. We’ll be able to market ourselves much more concisely and feel it’s been a long time coming. After all, we have set the standard for ranch marketing videos. Why not create a company centered around our passion? Chad Polk: Great insights Matt. You guys keep crushin’ it and we’ll keep watching all the epic ranch videos. Best wishes. It’s that time of year when brokerages are evaluating their marketing spend and performance. Lands of America advertising performance will certainly be one of the top segments evaluated in a brokers marketing mix. For many brokers, just being online is enough. But with today’s online buyers doing months of research and monitoring for land listings and brokerages, the online presentation (merchandising) is the critical starting point for a buyer. Lands of America works for a lot of brokers and agents, but critically evaluating the data and how you merchandise property on this network of sites can result in thousands of dollars in new found money. In this article we are going give you key analysis techniques and data points to evaluate Lands of America advertising and better yet tips to improve your brokerage merchandising of land listings on Lands of America. Like most online classified websites, Lands of America provides some basic analytics for your land listing performance on their site. They provide some simple metrics such as Searches, Views, and each of these data points over time with a line chart. Ok, great, but really how do I evaluate performance of my brokerage or individual listing? If you get 10,000 searches on a listing …is that good? What if you get 1,200 views …is that good? These are good for showing sellers that they are getting online activity on their listing, but individually they really don’t demonstrate much in the way of results in most cases. Now, if we compile some of these data points we’ll get incredible performance insight as to how your listings are performing against others by calculating averages, rank, and per day analysis. Let’s unpack this data to better assess its performance. I’ll start by explaining that when a visitor searches LandsofAmerica.com and listings display on screen, the default sort is price highest to lowest. This inflate your “Searches” total. You see, if your are one of the largest acreage listings for a particular county then it is very likely that you are one of the highest total price listings. That means you are by default at the top or near the top of the list. Also, if you are in a county that has very few listings then it is more likely that you’ll be page 1 or at the top. The important point here is you want to be on page 1 of typical searches you believe the buyer will perform. There are countless articles and research to support that being on page 1 of a search result is critical. We’ll save this topic for another article. Being at the top of the list has value no doubt, but I just want to be clear that it inflates your “Searches” data point for this listing. Searches (for Lands of America) is the quantity of times a listing appears in a visitors search results. A Searches rate on LandsofAmerica.com can vary widely because of demand or popularity within certain counties and as already mentioned being one of the top ranked in total asking price. So overall, Searches on its own for individual listings isn’t much of a value …which brings us to combining it with the next data point to create a real meaningful Key Performance Indicator (KPI). Lands of America uses the word “Views” to mean the number of times a listing is clicked aka viewed. This is pretty simple, Listing A appears in the Search Result and a buyer clicks on Listing A. That click counts as a “View”. As with Searches, Views are generally interesting, but as a single data point not very insightful because it can vary by thousands based on days on market, county demand, and total price rank. Check out #1 below for a better performance indicator. Ok, time to really pay attention!! Here is the important metrics of four key performance indicators. 1. Click Through Rate (CTR) – this is number of views divided by number of searches to give us a percentage rate that site visitors click on a listing. Based on general marketing click through rates, a good CTR average should be 3-5%. There are several factors that play into your CTR though. Consider your marquee photo displayed, did you use video, or is your written copy compelling? So evaluating yourself and your brokerage here is key. Spend some time critiquing your own listings compared to others in your market. The best performing listings have professional photos with professional color enhancement or display video as marquee photo, and have compelling intro sentence about the listing. Which listing would you click on? Actually the question is which one would you NOT click on …B! You are asking the full market prices and $2.8M, but you can’t even get the photos done well. So B is obvious, but lets critique A & C. Photo A is ok, but it really doesn’t sell me any value. It is shadowy, the road really just looks like a worn path, and trees don’t lend to picturesque scene. Every ranch has a scene like this one pictured, but surely there is a better scene somewhere else on property …you have 800 acres to pick from. I don’t know this for fact but I bet the agent took this photo or unqualified photographer. Now take in photo C. The tree line is perfect horizontal centered, the water feature is clearly large, sky is awesome blue bird day, reflection on the water is enchanting, water totally calm, and there is fish habitat on the shoreline …ok, I’m interested …click. Just for the exercise, read the description excerpts of each listing A, B, and C. Are you starting to see a better merchandised listing surface? I’d go with listing #2. It is more intriguing to get me to click with talk of spring-fed creek, a pond, and views. This excerpt is the first words you put into your description. Choose your words carefully and be persuasive to get the click …something advertising experts have been doing for decades. 2. Searches per Day – this is the most accurate way to compare listings in your portfolio. It takes out the “totals” and evens the comparison by accounting for days on market. Easy calculation is number of searches divided by days on market. Your average searches per day should be between 100 and 200 per day on average. The important assessment for your own listings is comparing it to your average. Download the REALSTACK spreadsheet for easy calculations here. 3. Views per Day – this is where it matters to a broker or agent. Again, we factor in days on market to give comparisons a common denominator. Simple calculation is total views divided by days on market. In marketing, when a visitor clicks on a listing this is a behavior. A behavior in this case demonstrating that they are interested at some level. We don’t necessarily know where they are in their shopping process or marketing funnel but statistically it does help us gauge market interest. Most importantly, this data point helps us benchmark each listing against a consistent average. Your average views per day should be between 5-9 per day. Although views per day can vary from brokerage to brokerage depending on your portfolio of listings. It is important to establish YOUR averages. Download the REALSTACK spreadsheet for easy calculations here. 4. 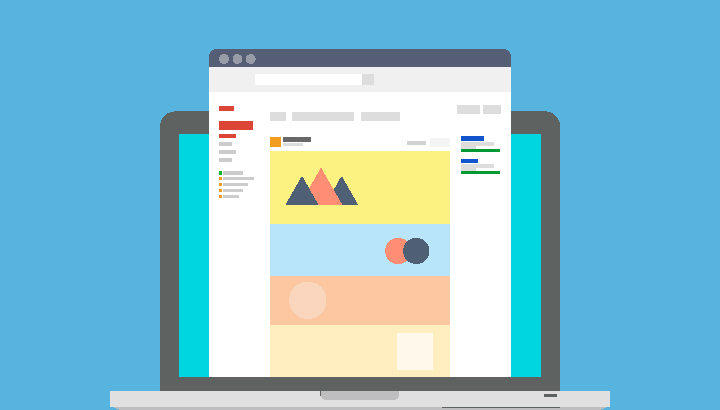 Leads per View – now we’re talking …leads, people who engage with your online listings. Just as views are a behavior, so are engagement. Engagement meaning a visitor to your listing inquires, shares, prints flyer, visits your website, or views your phone number. This is a slightly stronger behavior than a view right? Absolutely and as marketers we’d say they are moving down the marketing funnel and hopefully on their way into the sales funnel. Leads per view is import metric because we must understand why people are engaging more or less than other listings. To calculate, take number of leads divided by number of views. This will give you a percentage of leads per view. Your leads per view should be between 1% and 2%. Remember this is based on views total for a listing not searches. Self assessing your marketing is a must-do activity that any business has to do. Land brokerages are no different. I encourage you in 2016 to make statistics and analytics part of your quarterly evaluation of the business and your portfolio of listings. Start simple and grow from there. Getting a baseline for averages will be the key starting point. I’ve created a spreadsheet intended just for you to get started in the new year at evaluating your brokerage performance with Lands of America advertising. Get your download copy today and be on your way to better decisions and marketing practices with your land brokerage. 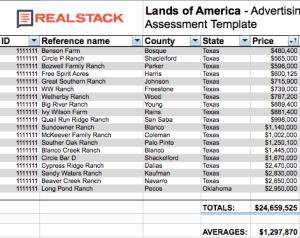 Click Download button to get your Lands of America Advertising Assessment template spreadsheet. P.S. 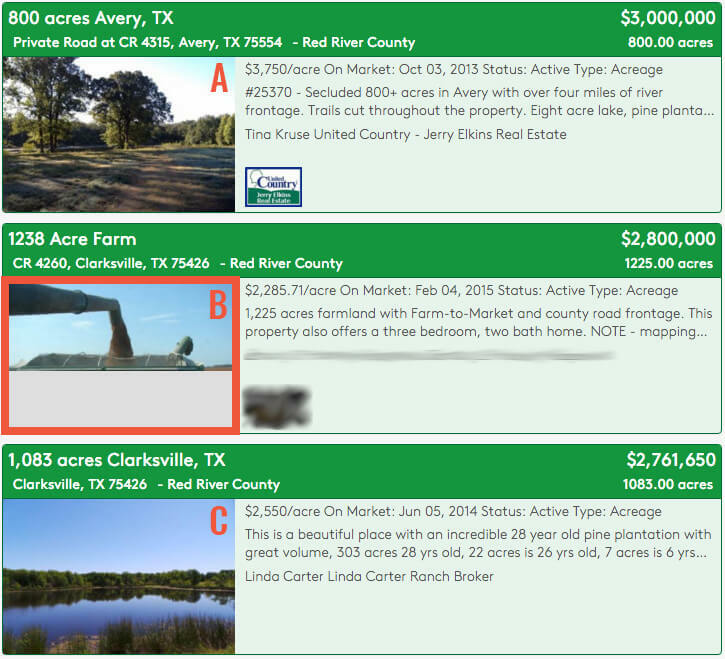 There are two other factors that directly impact your online marketing results …Price per Acre to Market (PPATM) and Price per Acre Rank (PPAR). Often times these can be the 2 most important factors for marketing results. People just don’t waste their time on overpriced land and if you are priced correctly at price per acre but in the top of total price then you’ll have to exercise some patience. Searches – the quantity of times a particular listing appears in the search results. Price per Acre to Market (PPATM) – percentage of a listing price per acre to the average price per acre for similar listings in that market. Price per Acre Rank (PPAR) – numerical ranking of listings from highest overall price to lowest overall price.